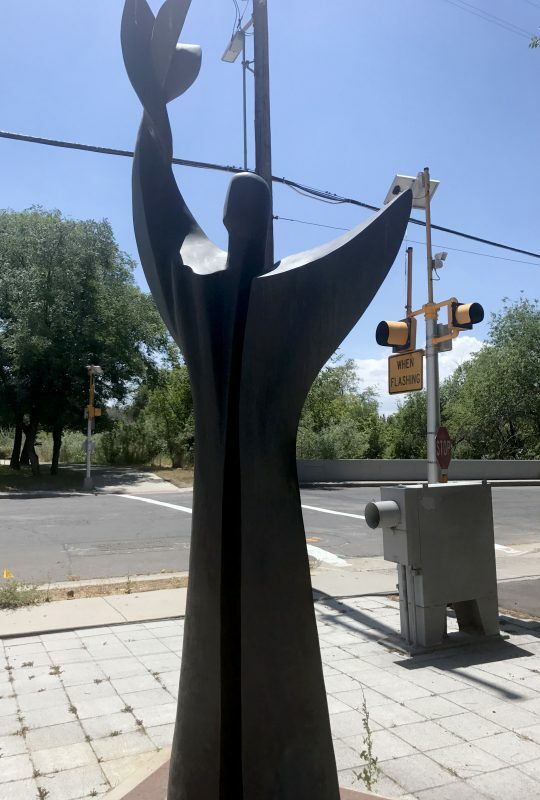 Pavlos Kougioumtzis’s 2002 abstracted rendering of Prometheus bearing fire stands on the Jordan River Parkway, along 500 South, across the street from Jake Garn Blvd. and on the same block as Neighborhood House. 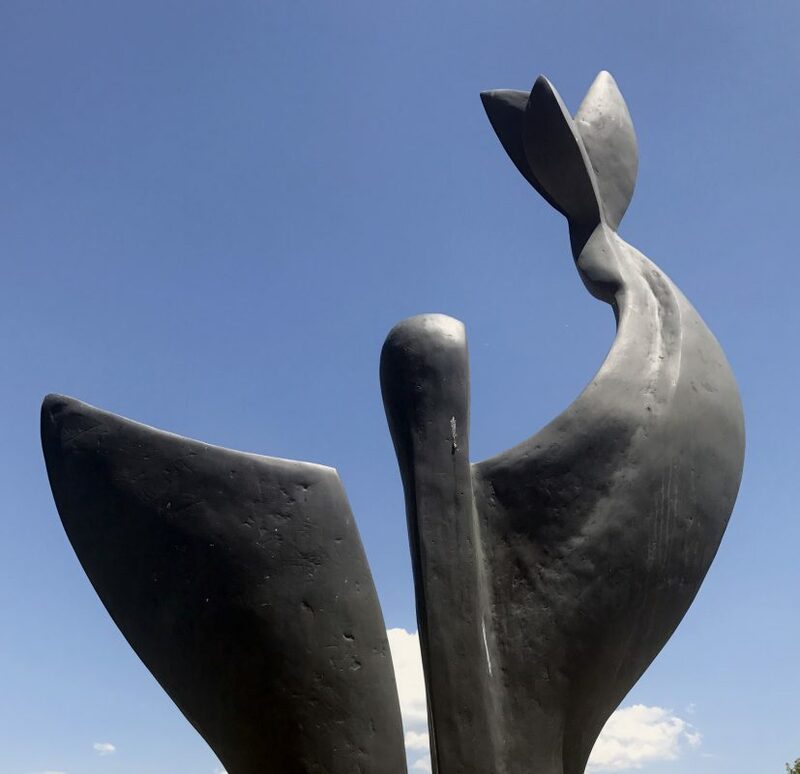 A greek sculptor, painter and architect, Kougioumtzi lives and works in Athens and Delphi.